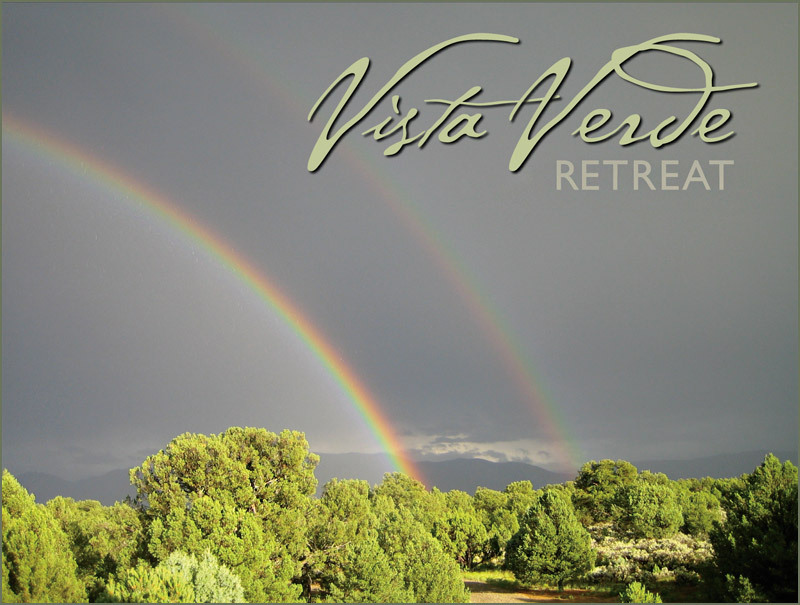 Vista Verde Retreat Center is a vacation rental located in the rural high desert forest of northern New Mexico. This beautiful abode is tucked away among old-growth juniper and piñon pines. If you like being in nature but prefer not to rough it, this place is for you. A sense of serenity is pervasive as you wind your way through the compound. The retreat is designed for you to deepen your connection with the land and allow the tensions from daily life to dissolve. If you’d like some off-site adventure, Taos is 40 minutes away, Santa Fe is 90, Taos Ski Valley is an hour. Ojo Caliente Spa and Mineral Springs is 25 minutes, and the Rio Grande Del Norte National Monument is 10 miles. Vista Verde Retreat is a forest retreat which promotes creativity as well as emotional, mental, and physical well-being. This harmonious haven is a relaxing and restorative environment. Contact us to plan your own group gathering or reunion: 575-758-2758 or elizabeth@vistaverderetreat.com. Sleeps up to 30 depending on the season. Vista Verde Retreat is a wonderful place to host your workshop, be it a day, a week or a month. The Studio, a beautiful 37’ x 27’ space, has a sprung dance floor. This floor can be completely covered with yoga mat material or protected – ideal for dance, yoga retreats, Tai Chi, movement, corporate training, art and other types of creative and/or healing workshops. Please subscribe to our email list!